What If the Police Didn't Read Me My Rights before Arresting Me for DWI in New York? | Raw Law | Law Offices of Adam M. Thompson, P.C. Not surprisingly, defendants in a criminal prosecution in New York typically look for ways in which the charges can be dropped or the evidence against them can be excluded. Often, they see something on television or in a movie and try to make an analogy to their case. For example, if you are facing charges for driving while intoxicated, or DWI, you may ask your attorney "What if the police didn't read me my rights before arresting me for DWI in New York?" This is a perfectly understandable question considering how often the issue of Miranda rights is portrayed on television or in the theater. Potential avenues of defense and defense strategies should always be discussed on an individual basis with an experienced New York criminal defense attorney; however, a general explanation of your Miranda rights and how they pertain to a criminal prosecution could be helpful for the moment. In the United States we all have certain rights guaranteed to us by the U.S. Constitution. Although those rights have always existed, many people were unaware of them prior to the landmark case that created the requirement that the police inform you of those rights. Named after the defendant in the case, "Miranda rights" are what you have undoubtedly heard being read to a suspect on a televisions crime drama or movie. People are often confused about when a law enforcement officer is required to give Miranda warnings and what the remedy is should the rights not be given. 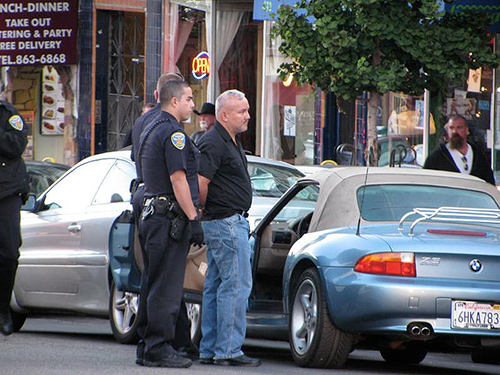 A police officer must inform you of your Miranda rights when you are taken into custody. Typically, this is the point at which the handcuffs are put on; however, you can be in custody without being placed in handcuffs. In addition, the police must be intended to interrogate you for the Miranda warnings requirement to apply. The reason for these two requirements is that the purpose of Miranda warnings is to ensure that a suspect understands his or her rights before being quested by the police. In addition to understanding when Miranda warnings are required, it is helpful to understand the remedy for failing to give them. Contrary to popular belief, a case isn't thrown out simply because the police did not read you your rights. Your rights are intended to protect you from incriminating yourself during police interrogation. Therefore, if the police fail to read you your rights and you do say something incriminating, that statement will likely be found to be inadmissible at trial. Of course, if the prosecution is heavily relying on statements you made during questioning by the police and those statements are excluded, the charges could be dropped for lack of evidence. If you were arrested for a DWI in New York and the police failed to read you your rights prior to questioning you, it is in your best interest to allow an experienced New York criminal defense attorney to evaluate your case to determine if statements you made during that questioning may be excluded at trial.